3 Bedroom Terraced House For Sale in Crawley for Guide Price £330,000. Guide Price 330,000 - 350,000! 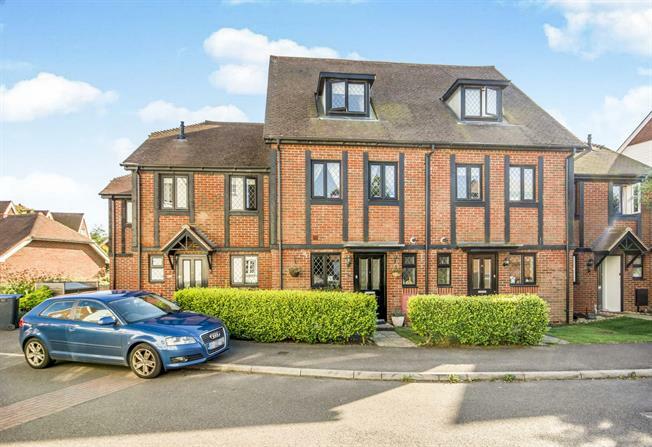 This well presented spacious three bedroom home is situated within the highly desirable and fashionable development of The Squires, Pease Pottage. Built in 2007 by Taylor Wimpey the homes within the development ooze character with a mock Georgian style however for a modern development they still boast well proportioned rooms. The ground floor consists of a modern kitchen, downstairs w.c and a lovely living / dining room. The first floor has two double bedrooms and a family bathroom. The top floor is where you will find a large Master bedroom serviced by an en suite bathroom. Buyers will also find the added bonus of their own garage and driveway so parking will never be a problem.